Preliminary returns show Wheeler with 57.8 percent of the vote. 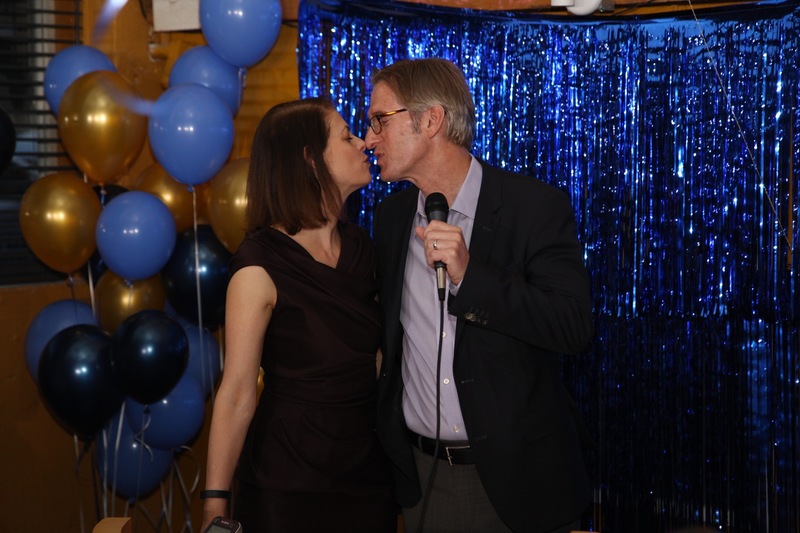 Portland's next mayor is Ted Wheeler. Wheeler, who has served as Oregon treasurer since 2010, is well on his way to capturing an outright win in the primary election against 14 opponents. At the Wheeler campaign party at the Southeast Portland sports bar Blitz Ladd, cheers erupted when Fox 12 news called the election for Wheeler. The crowd cheered again when they saw themselves on TV. But they waited more than half an hour for Wheeler to return to the party, which he did after Bailey called him to concede. "This has been an incredible night—and a slightly early night," Wheeler said. "Portland is just an amazing city. Portland is unique. Portland's on the move. Portland's best years are still ahead of it. I've got to tell you I cannot wait to take office as your next mayor." Early returns show Wheeler with 57.8 percent of the vote. Since entering the race in September and pressuring incumbent Mayor Charlie Hales out of the race, Wheeler has been the front-runner in the bid for Portland mayor. In January, Wheeler will take the reins of the city at a time when rents are skyrocketing, homeless camps have been set up across the city but city coffers are full with record revenues. Wheeler has been heavily favored almost as soon as he entered the race, on September 9. Just over a month later, three former mayors—Sam Adams, Tom Potter and Vera Katz—endorsed Wheeler over Mayor Charlie Hales, who quickly opted not to run for a second term. The entrance of County Commissioner Jules Bailey, who said he was recruited to the race by labor unions and officially entered the race in early January, proved to be a speed bump. Bailey was expected to stake out a position to the left of Wheeler but at times struggled to distinguish himself from the front runner. Both men graduated from Lincoln High School and had Ivy League credentials. Bailey tried and failed to portray himself as the Portland everyman to Wheeler's roots as a sixth generation Oregonian and a multimillionaire. And while Bailey did earn endorsements of the police and the teachers, Wheeler split the endorsements of firefighters and the county and municipal public employee union. 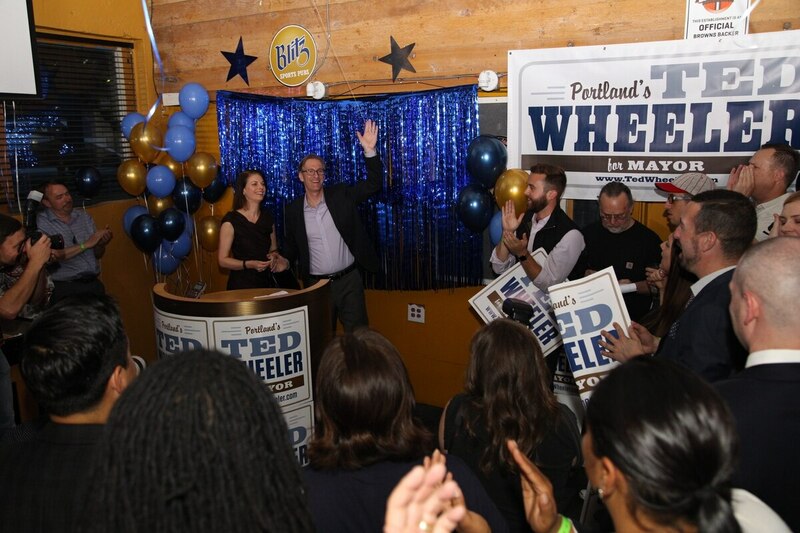 Wheeler also earned the endorsement of the Portland Business Alliance and raised the most money — nearly $1 million. But in Portland politics, victory is not a sure thing with the most money and business backers. 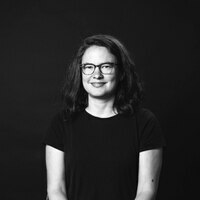 Eileen Brady also spent the most four years ago and came in third. The campaign asked supporters to bring donations to the evening's party, held at Blitz Ladd, in inner southeast. "Don't forget to bring your unopened, full-sized toiletries to donate to @BradleyAngle @ tonight's election party!" Wheeler tweeted. Early in the day, ahead of get-out-the-vote activities, Wheeler described himself as "confident but not cocky." "We've run a strong campaign," he said. "We've done everything we can do. At this point, it's up to the voters."